So what does this do? When the windscreens of cars are attached to the body of a car there is usally a sealant used to bond the molding and the glass to the body. 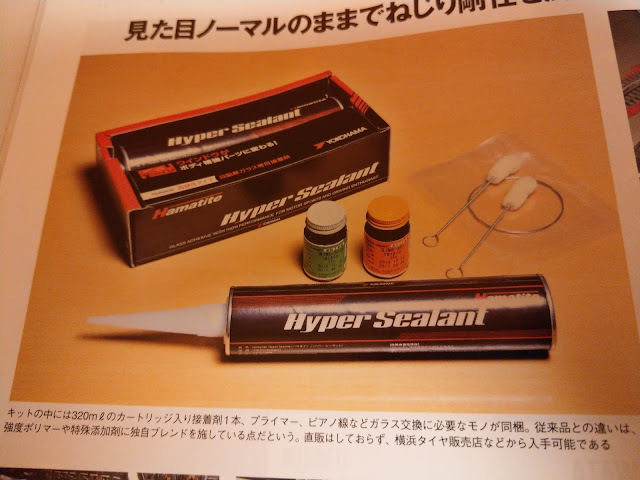 The role of the Hyper sealant is no different to this and is it's primary function. However where it differs to regular sealant is when dry it is more close to 3 times as stiff as regular sealant, think of the difference between regular rubber suspension bushings and hardned rubber bushings. 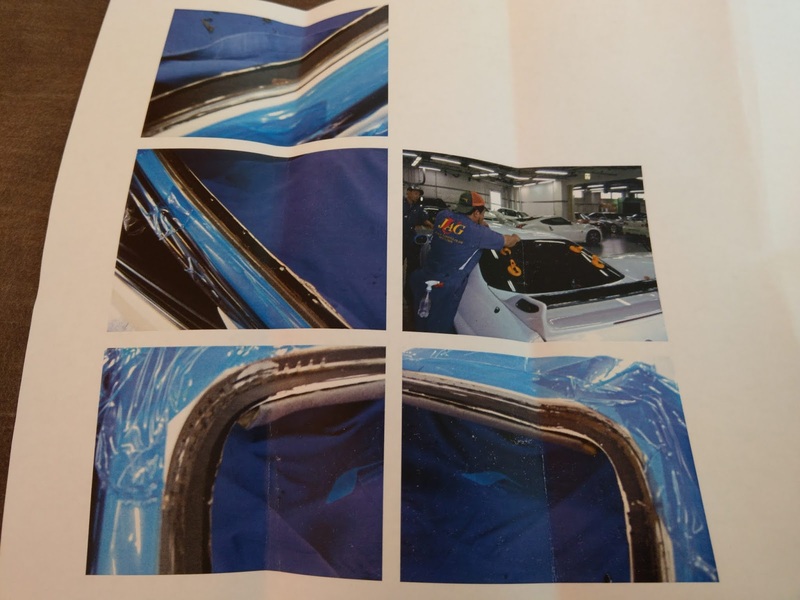 So the result of this is it allows the windscreens themselves to be a more integral structure of the body and in turn greatly improving the cars body rigidity. This being quite a involving process so not all workshops have the space and environment and tools to provide this service. So it was time for some more workshop exploring. One workshop and perhaps the most famous one after Nismo's Omori factory itself, Nismo Performance Centre Tokyo or NPC for short. It is part of a Tokyo Nissan dealership in Sakurashinmachi (3 Chome-3-18 Yōga, Setagaya-ku, Tōkyō-to 158-0097). 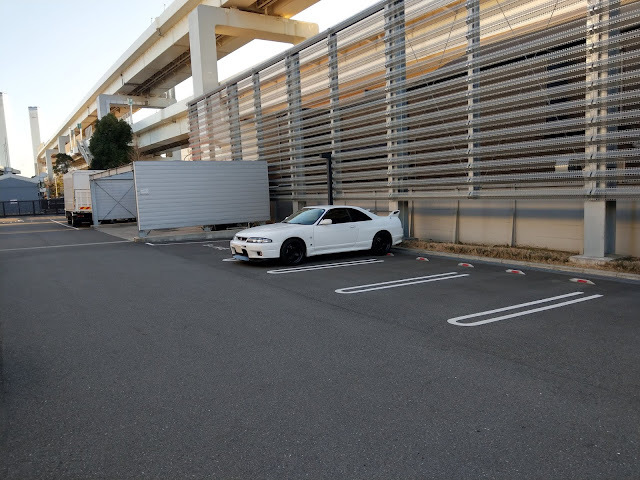 If you are an avid Skyline enthusiast you will have seen features on this workshop in both Aki http://www.r33gt-r.com/ and Ale's http://www.bnr34gt-r.com/ blogs so I won't go into too much details about this place. 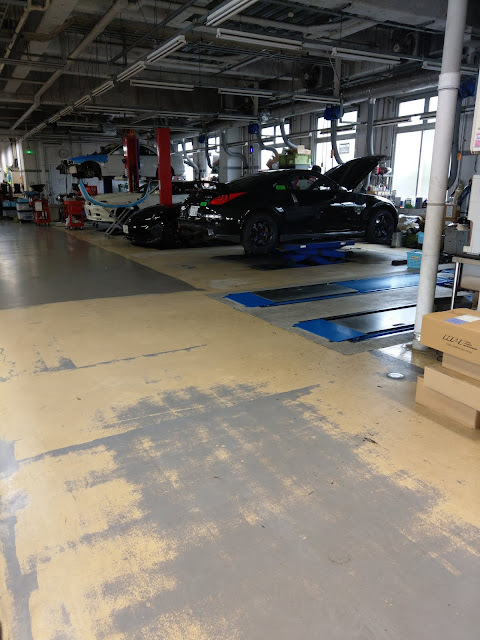 This is THE workshop for any Nissan performace car in Japan. Whether you have a KPGC10 (Hakosuka) GTR or a R35 GTR Nismo the staff there will know every inch and detail of whatever car you have. The guys there some of which have experience in motorsports such as race techs in the R33 Le Mans teams in 1995, 1996. These guys know what they're talking about. When you enter the workshop which is alongside the office itself. On any given day you will find a selection of Nissan's finest performance cars. A BCNR33 and BNR34, a 370Z Nismo and a homologation special 350Z 380RS. The 380RS is a JDM only 350Z Nismo road car released specifically as a homologation model. The reason this model was created was Nissan wanted to run a larger displacement engine in the Super Taikyu endurance series against their major rival the Porsche 911 GT3 race car. So from the standard car engine the VQ35HR displacing 3500cc (3.5liter). Being an NA engine they needed more displacement in order to be competitive so the car comes with a detuned 380RS-C race engine which ups the displacement to 3800cc (3.8 liters) producing 348 hp/7200 rpm and 397 N·m (40.5 kgf·m/293 lbf·ft)/4,800 rpm (https://en.wikipedia.org/wiki/Nissan_350Z#NISMO_350Z_(2007%E2%80%932008). Anyway getting back to it I entered the office and was greeted by Yamazaki-san and Koyama-san, both "Tuning Advisors" like those at Kn's Factory in my last post. Simply put these guys like those at Kn's know everything you could possibly want to know about your car. So I talked details including labour it would cost 1.4k USD per windscreen so all up around 2.8k USD. The curing period for the sealant to set after application was around 4 days so I came to pick up the car on the Sunday of the following week as also they would not be able to start on my car until Tuesday. I also added a couple of extra items to the list as well which I will mention later in addition to the sealant job. They gave me update calls thoughout the process letting me know about the rust if any which I was concerned about however as can be seen in the photos they took it was almost spotless with only a few smudges which could be easily removed and touched up. In the photos you may have noticed an extra part which is not usually present in BCNR33s fitted to the rear strut towers. These are BNR34 shock plates (part numbers: 55249AA320 and 55249AA321) These are parts which were added to the BNR34 designed to primarily reduce vibration coming up from the suspension by linking the strut towers to the rest of the body. In order to fit them to the BCNR33 two holes need to be drilled into the body as can be see above and also the holes in the plate themselves may need slight adjustment. 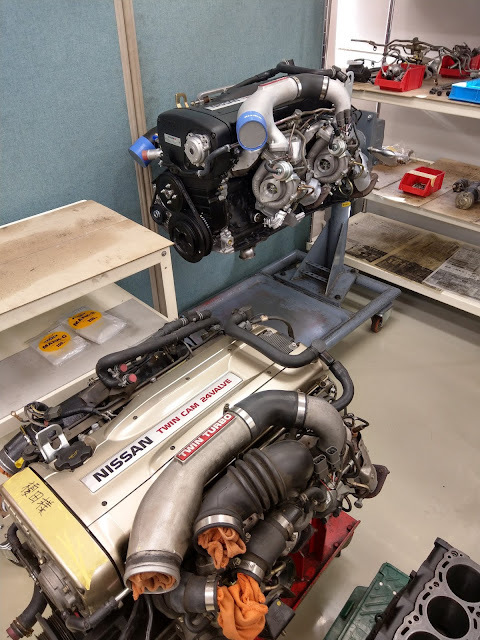 After seeing them being fitted to Nismo Omori Factory's BCNR33 Grand Touring Car demo car I decided to fit them as they are a plentiful part and only cost a few bucks. 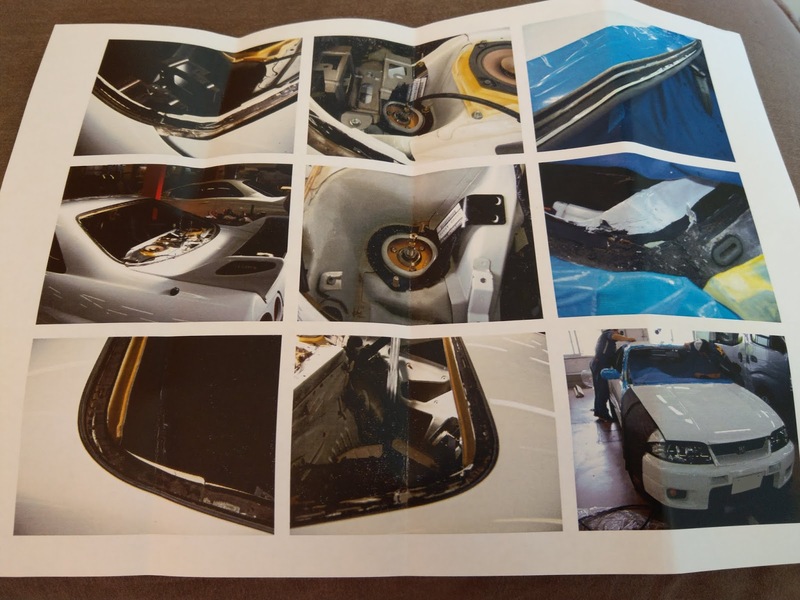 Koyama-san also suggested I change ou the rear wiper motor as while I had the rear windscreen out as this was one of the few times it can be accessed. 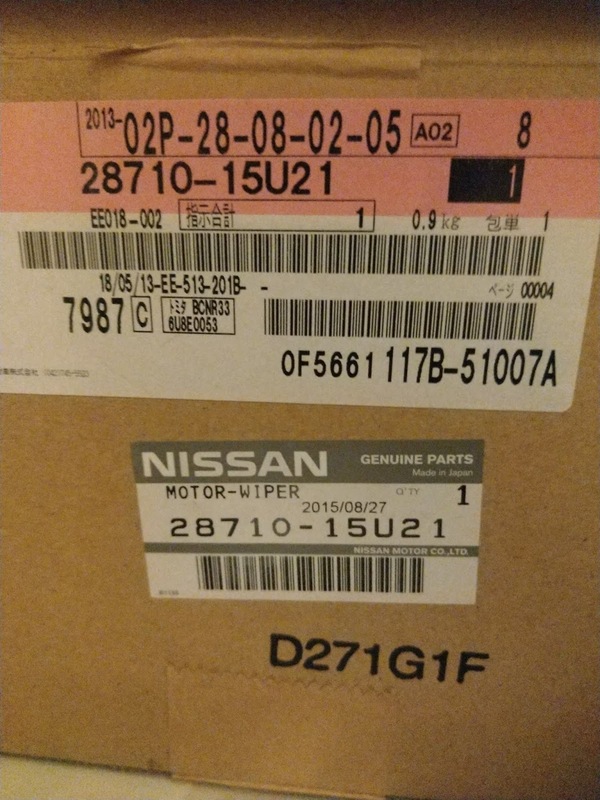 Another reason for this was that parts for the R32 and R34 are already gone and remaining stock of the R33 rear wiper motor is limited with at the the time of my visit only 7 left in Japan so I decided to use this opportunity to change mine out (part number: 21780-15U21). The motor which my car came with was still in good condition so I have a spare if need be. 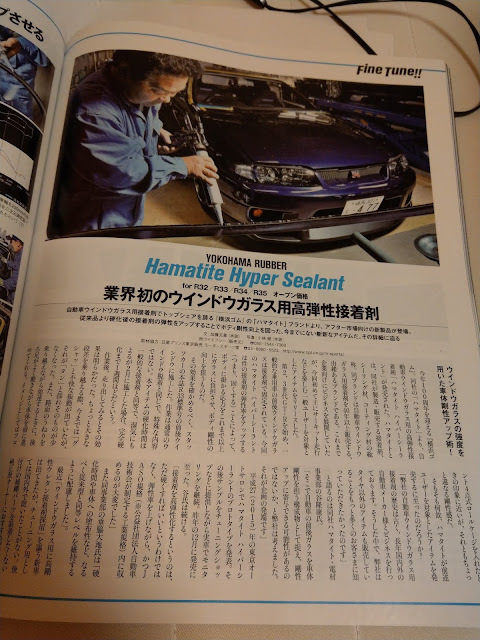 Lastly in the GTR Magazine article they meantioned a common problem with r33 and R32 wiper motor units was not the unit themselves but the nut which secures the wiper blade assembly being made of mild steel tends to rust onto the motor assembly and become immobilized. This is often what has rendered alot of motors nonreuseable. This was why with the R34 they switched to a aluminium nut instend to prevent this (part number: 287180V000). It also happens this R34 part will fit with no modification to the R33 wiper motor assembly so I ordered it as well to fit onto my new motor. This is a small and inexpensive upgrade for anyone and I especially recommend sooner rather than later to protect these scarce parts. 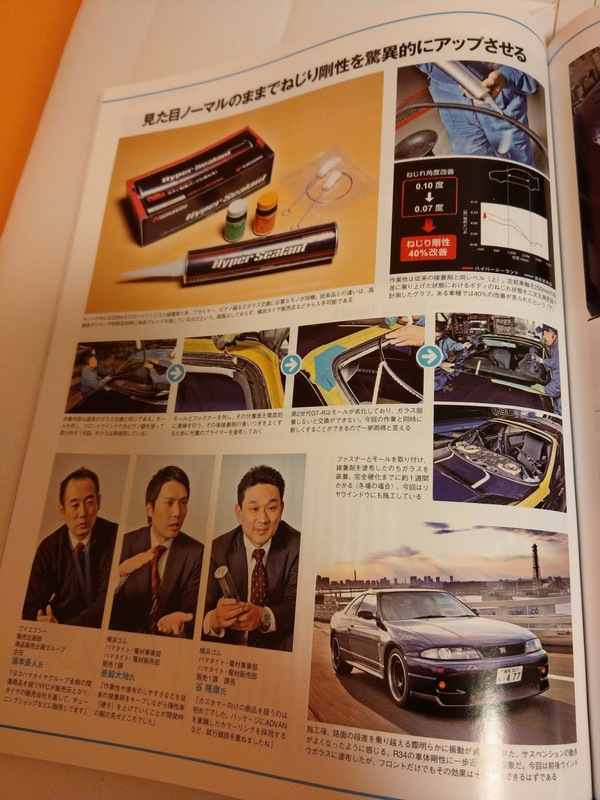 While I was there to pick up my car Koyama-san inquisitively was asking me a number of questions about when I bought my car and where I bought it. After his suspicions were confirmed he confidently said he knew my car and it's previous owner was actually ome of their customers. This was quite a mind blowing moment for me and I was definately not expecting to find this out from a casual workshop visit. After chatting with him more about the previous history of the car and also of it's short history with me Koyama-san looked pleased to see it was in good hands and was being looked after. He did however mention one issue which could become sn issue in the future. This was that the previous owner did take the car on track days however with clogged cats of the previous Weldina NE-1 which I replaced previously. So he recommended I change out the turbos sooner rather than later as the current ones he couldn't guarantee how long they would last. A turbo replacement was quite a major job which I would need to save up abit so I decided to schedule it with my next mid year oil change. So how did the car feel after the sealant was applied? In short this is the single most effective improvement to body rigidity short of spot welding or adding a roll cage. The difference in ride quality, steering response and feel and reduction in NVH was night and day. It is in a completely different league to adding a thicker strut tower bar or even the previous S15 boot brace mod https://www.grandtouring.cc/2018/10/as-this-blog-has-been-on-backburner-for.html?m=1 I previously did. I feel as though my BCNR33 is now closer to the BNR34. Perhaps a R33.5?